Tuesday, October 30 at 4:10 p.m. and 6:00 p.m.
Are you a Master of Journalism student or an early-career working journalist? 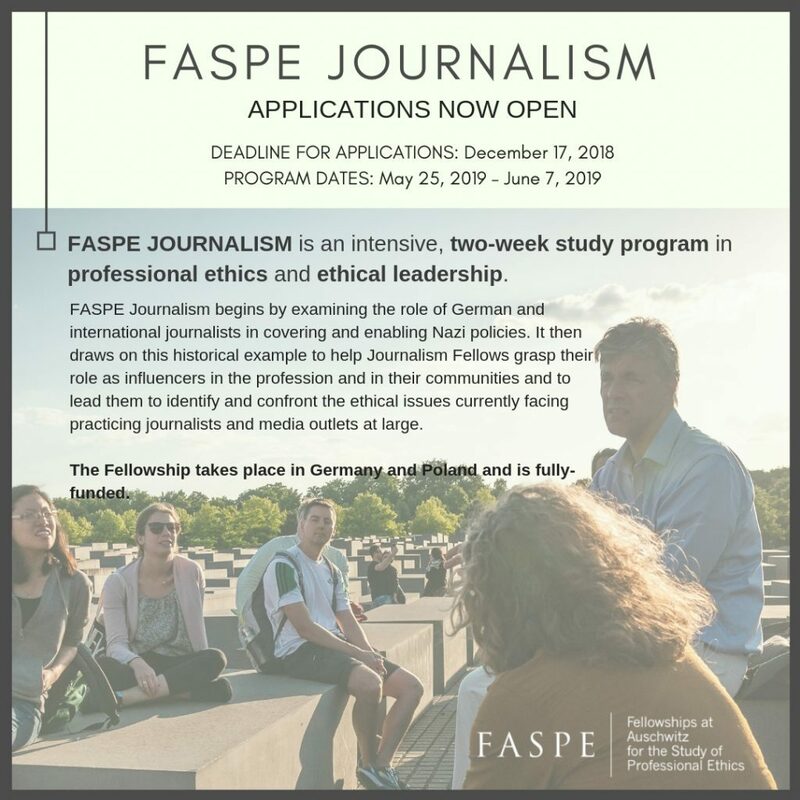 Learn more about this unique, fully-funded, two-week fellowship where you travel to Germany and Poland to study professional ethics. There are also programs for business, law, medical and seminary students. Come to this information session to learn more and ask questions about the application process. All are welcome!